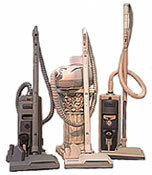 For those of you that don't need a top of the line vacuum, we offer great deals on rebuilt eureka's, among other brands. Although our stock changes frequently, we should always have something to suit your vacuuming needs! A brand name that has been around for a hundred years! Hoover still tends to deliver when needed. Also hard to keep these rebuilts in stock, call ahead to make sure we have one. 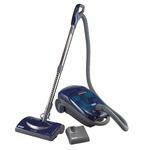 Hoover have so many models, that it would be hard NOT to get one that works for you! Always great deals on these Kirby's! We have some older ones, and we have some of the newer ones, Like the Generation III, or IV, sometimes we even get the newer ones, like the Generation V, or VI... Fully rebuilt, and guaranteed. Although the kirby's seem a little heavy for some people, they run forever, and really pick up the dirt!